Independent expert in the field of literacy, a journalist, a renowned lecturer and “a childhood activist”. The former principal of a primary school in Scotland is the author of numerous books and TV shows. In her career she has worked with various institutions in the UK, such as the Ministry of Education and the National Organization for the Improvement of Literacy among the Population -National Literacy Trust and the British media company – the BBC. She has published a number of articles in the British national and educational press. She is a patron and a collaborator of many organizations in the UK, seeking to improve the quality of education and childhood: English Speaking Board, Children’s Football Alliance, Carefree Kids and The Children’s Wood; she is a co-founder of the Open EYE and Save Childhood movement. Within the Scottish Government she has chaired the committee Early Years Task Force, which aims to influence the society in providing children with the best chances of survival and development. 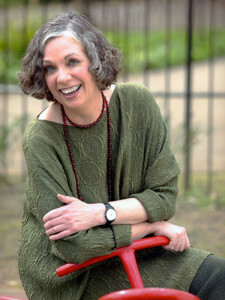 Her book Toxic Childhood (2006, 2015), in which she discusses the impact of modern life on children’s development and learning, has become an outstanding success. It has launched an extensive media debate about childhood in Britain, and remained for two years on a list of Amazon’s best-selling books. This book was followed by three more: 21st Century Boys, 21st Century Girls and Detoxing Childhood. She is currently writing a new book, which draws attention to the premature start of school and advocates rising the age for school children from five to seven years.